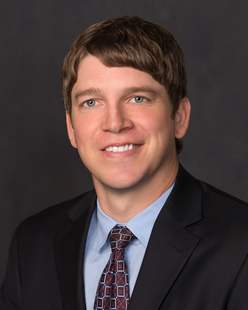 Uriah Price is a partner in Crowley Fleck’s Energy, Environment and Natural Resources Department. Uriah is licensed in Montana, North Dakota and Wyoming. His practice encompasses multiple areas of energy and natural resources law, including oil and gas, energy and mineral litigation, energy and mineral transactions, regulatory and administrative affairs, Indian law and title examination. Uriah represents clients in front of the Montana Board of Oil and Gas Conservation Commission, the Bureau of Land Management and the Bureau of Indian Affairs. Additionally, he handles oil and gas related litigation, complex title examination, due diligence and Indian law matters. Uriah serves on multiple committees for the Rocky Mountain Mineral Law Foundation where he was a Trustee at Large (2016-2017), a founding member of the Young Professionals Committee and currently serves as faculty for the Federal Oil and Gas Leasing Short Course. Uriah obtained his Juris Doctorate, with honors, from Washburn University School of Law where he focused on oil and gas and natural resources law. Prior to law school, he obtained his Bachelor of Science degree from the University of Kansas.